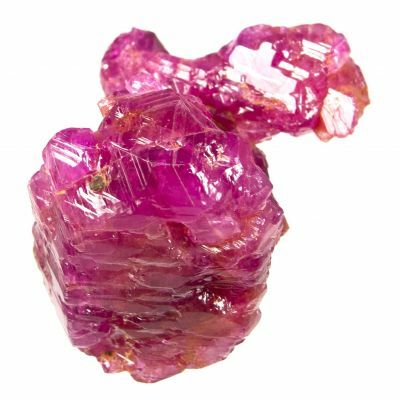 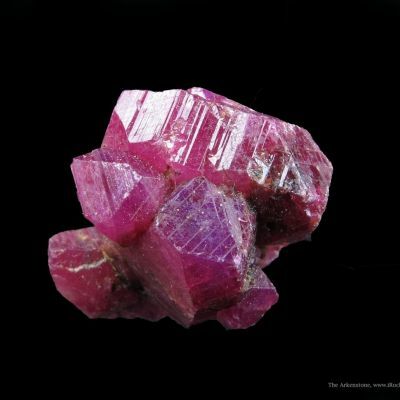 Although it is only weakly translucent (unless strongly backlit), this is a fine example of a doubly terminated ruby crystal on matrix and particularly good for the locality. 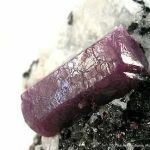 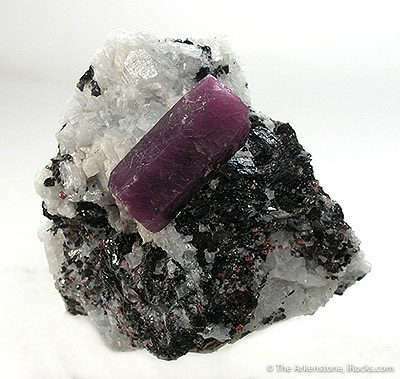 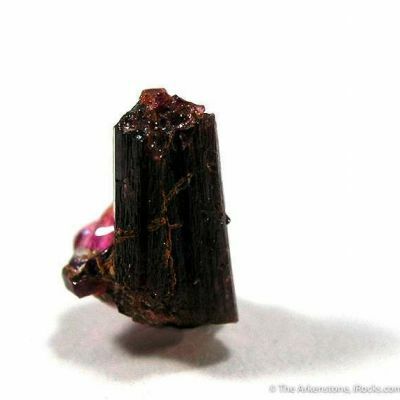 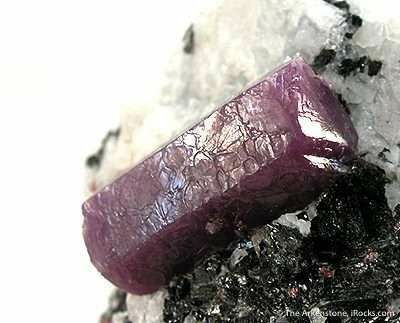 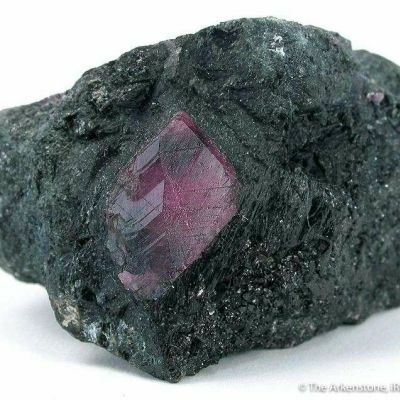 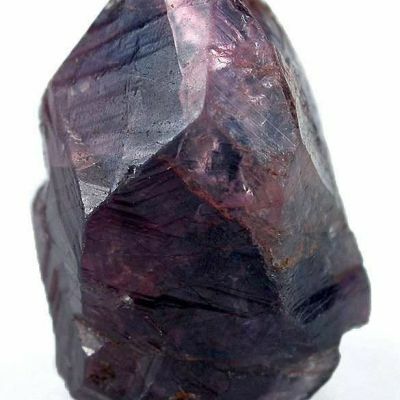 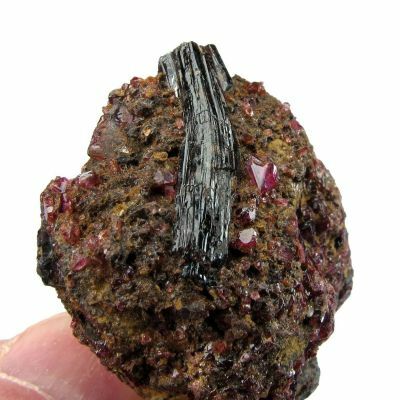 The crystal is deep purple with red overtones and is 2.75 cm in length. 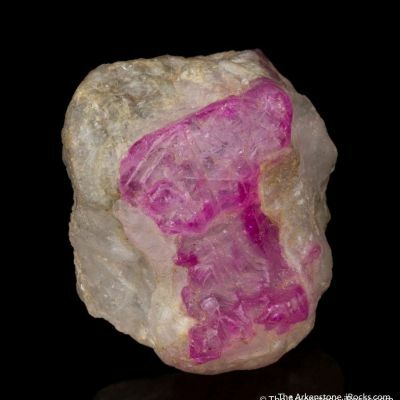 It exhibits good satiny luster and contrasts nicely well with the massive white calcite matrix.